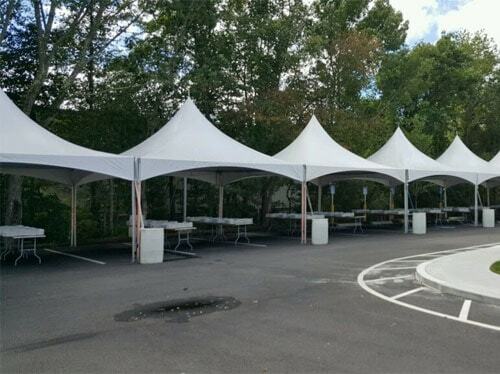 Busy Bee Jumpers & Tents has been serving your event needs in the state of Massachusetts for over twenty-one years. 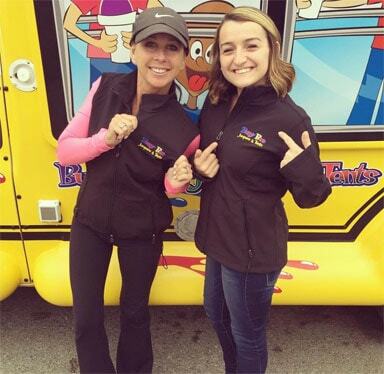 Our family owned and operated business is ready to make your event an unforgettable one! We rent bounce houses, water slides, interactive games, trackless trains and more! Let us help make your next corporate event the best one yet! Do you need a space for all of your guests to sit? We offer tents ranging in size from seating for 20 people to seating for 120 people! Lighting, side walls and heaters can also be added to your order to keep your guests cool in the summer and warm in the cold! Our trained staff will install all of your rental items – sit back and let us do the work! Looking for something sweet to offer your guests? Our Fun Food Machines are so easy to operate! 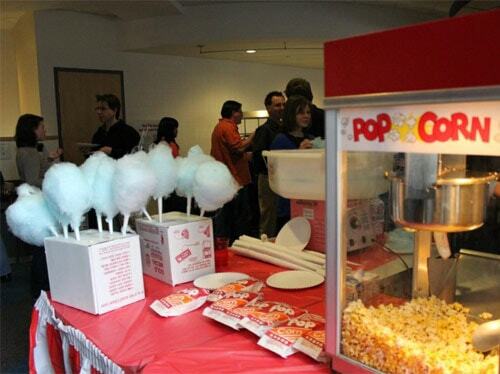 Choose from Popcorn, Cotton Candy, Sno Cone, and Pucker Powder! All machines and ingredients can be added to your order and delivered with the rest of your rental items! Do you want to sit back and enjoy yourself during the event? Our staff are trained in First Aid and CPR and are available for anything you may need! Let them monitor the inflatables and operate the food machines – you won’t have to do a thing! Are you looking for something different? 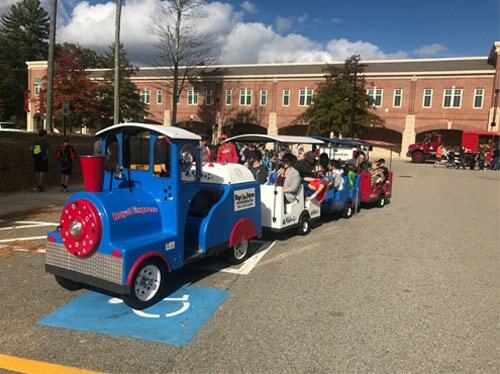 Our Electric Trackless Train is sure to WOW all of your special guests! We have the ability to drive the train on grass or blacktop, hold up to 18 guests and the best part is – we do all the work! Our staff are trained in driving the train and will help your guests board and exit their seats. This is great for both small and large events alike! Place an order for our Snowie Bus and your guests will enjoy a snow cone made of freshly shaved ice and any flavor of their choosing! 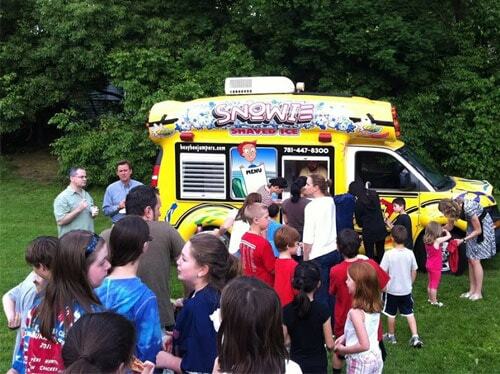 The Snowie is sure to make a great presence and leave each of your guests with a great memory of your event! Big or small, your event will be our priority and we will do whatever it takes to make it a day to remember! Give us a call or send us an email and one of our sales associates will be happy to start planning your event with you!